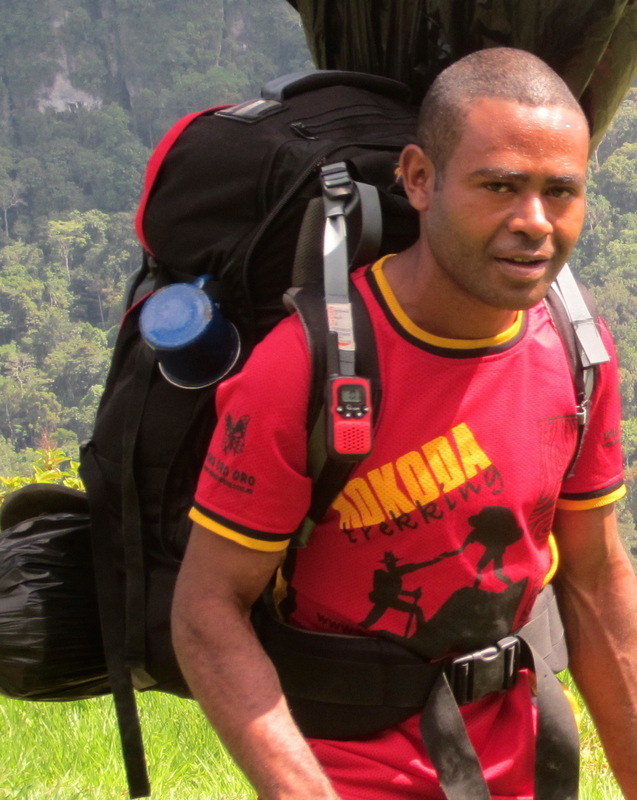 Clement started working with Kokoda Trekking in 2004 as a porter. He slowly moved his way up the ranks and is now one of our best guides and most respected employees. He has a very good command of English and has walked often as a personal porter and throughout the past couple of years as a guide. Clement continues to try his best and has a good knowledge of the war history. He also loves to share with you stories about village life should anyone be interested in their culture. For several years Clement has walked alongside my son Shane Thomas an Australian guide and together they had completed over 50 treks. Shane has been most impressed with Clement and would highly recommend him to anyone who would request him to guide them across the Kokoda Trail/Track. In 2013 Shane decided to stop walking and was replaced with Pat Vainerere as our Australian Guide. Clement continues to walk as his 2IC when he is not running treks on his own as a PNG Historical guide. Clément’s mother is a retired school teacher and has instilled in him the need to be educated and continue to learn. I am sure she is proud of her son who now is in charge of leading several treks a year across the Kokoda Trail/Track. He gets on well with fellow porters who admire and respect him.